Experienced in the full range of male waxing treatments including intimate male waxing and the back, sack and crack. Bringing the ancient art of the hand sugar hair removal technique to the men of Cambridgeshire.......being smooth has never been so kind to your skin. 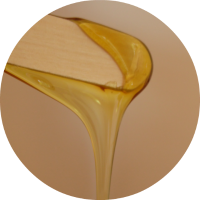 Sugar is a 100% natural, water soluble, alternative to waxing. It hurts less, reduces the risk of post hair removal reactions and causes finer hair regrowth. 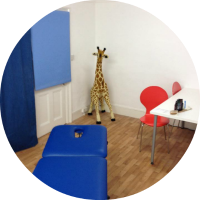 Operating from a male only treatment room above a unisex hair salon located in central St Ives, Cambridgeshire. St Ives is easy to get to, just off the A14 - Junction 26 with many students and other Cambridge residents preferring the convenience of the guided bus direct from Cambridge which drops off in the town center just a minute walk away. Please check out the contact page for links to local parking map and bus timetable information. Clients travel for miles throughout Cambridgeshire and beyond to receive a premium, professional and confidential male waxing and sports massage service from an experienced therapist. Please take some time to read over the website. I hope it will answer any questions you may have but feel free to contact me if you need any more information. Copyright © 2019 Male Waxing Specialist. All rights reserved.